What is abundance? Abundance is having plenty, having more than enough such that you are in a position to give away. It is having a large quantity of something. Somebody recently commented that the reason we re blessed is that we can bless others after our own needs have been met. The book refers to blessing so you can be a blessing. You receive so that you stretch your hands out to the needy and less privileged. The word abundance doesn’t only refer to money but one could also have an abundance of joy, faith, hope, goodness, love to mention a few. We are designed to live in abundance. It is our right but what can stop it?. We can stop it. Why you ask, ‘abundance is a choice’. We all have a free will. God will never force His will on us. Whatever man imagines he can do’. What are you imagining? What are you asking for?. Who is speaking into your life on a daily basis?. Are you giving the creator chance to speak into your life daily?. As I pen this post I am reminded of a story in the Book about one of the prophets. Elijah the prophet declared ‘ As the Lord liveth, there shall be no dew or rain these years’ He spoke out of great confidence in the creator of the universe although sometimes when people speak like that people say it’s pride. I think here we also realise the power of declaration, according to my word. Surely according to his word, the famine lasted 3 years. Did he cause the rains to stop, no but the creator did because of his displeasure and judgement on the people for putting their trust in false gods. He had previously warned and nobody was heading the warnings. There was a famine in the land. This is a physical manifestation of a spiritual famine. We may not believe in God or a higher power but what are the false images (gods) we’ve spiritually erected for ourselves. Anything can be god to us. Our jobs may become our god to the extent that we ignore families and other more important things like our health. The story changed when the people Elijah challenged the four hundred false prophets of the time. ‘Let’s have a contest’ he asked. ‘Make your altar and I will make mine and let’s our God’ he continued. He expected them to withdraw but they were very confident of success. ‘Call your god and I will call mine’. They called their god but he never replied, Elijah called his and He did reply. The prophets were eventually destroyed. There are implications of listening to the wrong voice. Who is speaking into your life? Elijah repaired the altar in 1 Kings18, and fire came down. God proved Himself as the only true and living God that answers prayers. 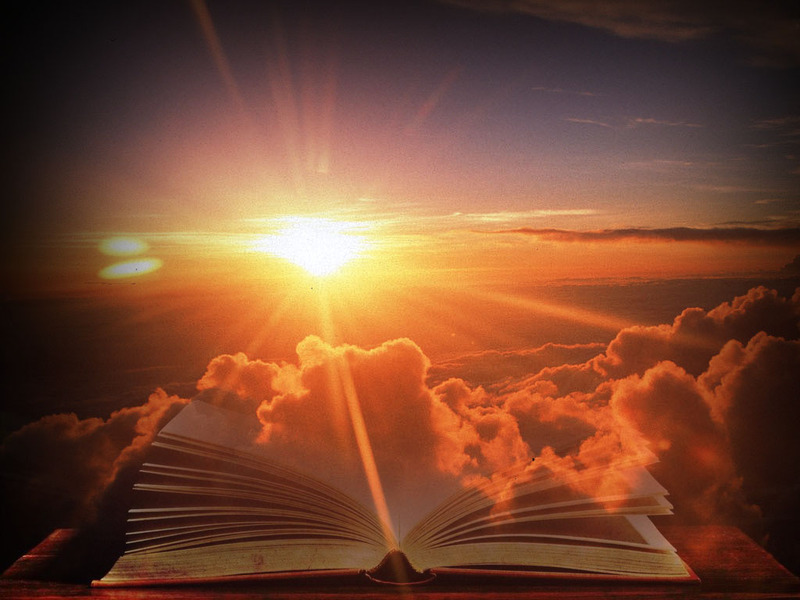 In verse 41 the bible reads, “And Elijah said unto Ahab, Get thee up, eat and drink for there is a sound of abundance of rain” How did he hear the sound? Prior to this the situation was so bad that people had resulted to cannibalism. What really intrigued me further is the process it took for the Rain to appear and the famine to end. In conclusion I wondered, what would have happened if he had not continued to pray. Although a man of faith he did not just pray once and left the matter. He PUSHed (prayed until something happened). before giving Ahab the King instructions. We must never give up on our dreams. Keep hope alive and work towards your dreams. Stay far away from negativity, believing the vision will surely come to pass. What a great and INTRESTING post! It feels very “on point” on todays world. You are so right about people make “their own gods” worshiping “stars” on tv for example.. Doing everything they can to look and at like them.. Or people worshiping money… I donÂ´t even have to explain how comon that is today.. Great post and I want to thank you for that. Keep doing these, we (the people) need stuff like this… more than ever I think. Thank you for your very encouraging words. I like the mention of the ‘celebrity’ gods. This has caused a lot of problems as people try to live to celebrity standards and not the standards designed for them personally. I totally agree with you on this, people are getting too materialistic today that they always want more things and complain when they don’t have what they want. People who grew up having it easy will never understand what it is to understand abundance, I hope they come across this article of yours and learn the true meaning of it. Great read by the way, do keep writing more of these. Cheers! Thanks for visiting and leaving a very encouraging comment. You just made my evening. Thank you for this post. GOD really is GOOD ALL THE TIME. That even here he is present. I know that he is EVERYWHERE. Everybody needs to know that. Everybody needs to know that we are blessed. So we need to be a blessing to others too. I’m gonna bookmark this site to read more later of your articles. Keep it up. See ya at the top! It is uplifting to be able to read such wise words online in the morning just after I wake up. You just made my day a bit brighter. Thank you for that! I think people nowadays just want and want, and then want again. More they have more they want, and the part of the giving back is getting forgotten. I myself when I moved from the country side to a big city was becoming like that, you just get caught up by this consume society we have and forget that is by giving that you receive. We need morning doses of inspiration always. 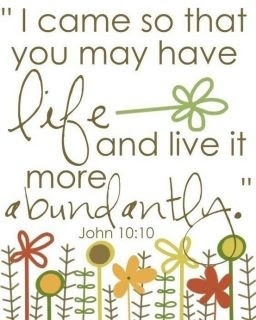 The Bible verse you quoted (John 10:10) is one of my favorites! I like how you discuss the Power of Declaration. Is is so true that the things we say and declare in our lives get power and become real. It’s not really something that you learn about it school unfortunately. Just as important is having faith like you said. You don’t just say something once, you continue to say it and believe it will happen. Thanks for your comment especially the last bit about ‘continuing to say it and believe it will happen’.